So, way back in December, I published an overview to emulating the Commodore Amiga. 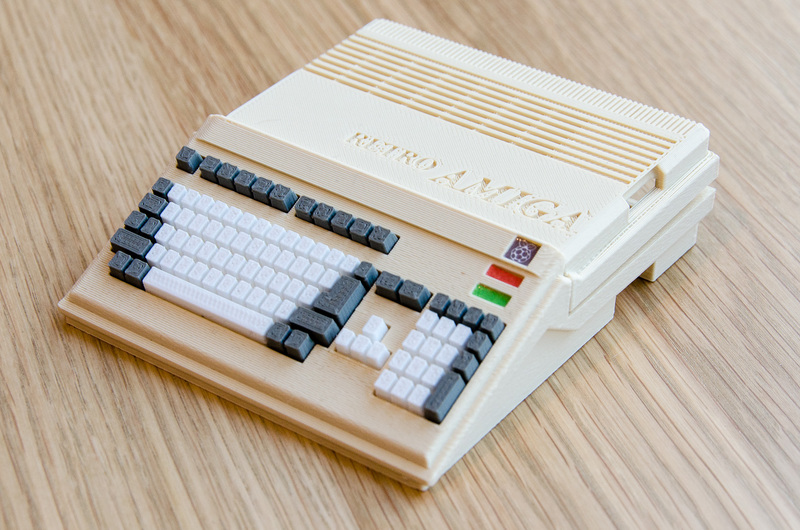 While writing it, I did some research for emulator options on the Raspberry Pi and just happened to come across this nostalgia-tastic Retro Amiga Pi case. Well, it was pretty much love at first sight. So much so, that it actually inspired me to buy a Pi and set up it to emulate an Amiga just to have an excuse to order that lovely 3D-printed case. If you’re not familiar with the Raspberry Pi, it’s a cheap, bare-bones mini-computer that runs from an SD card and outputs to HDMI. It was originally designed and produced with the intention of getting kids into coding and computer science. 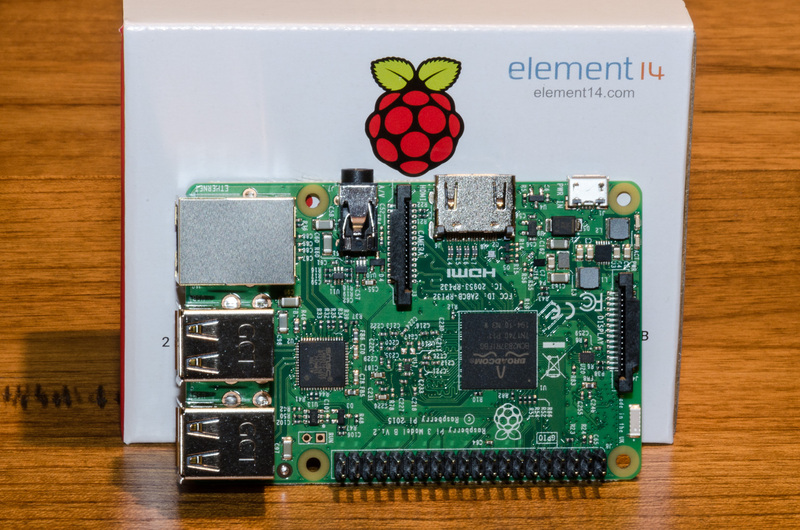 However, since the launch of the first model in 2013, the Pi has proven to be incredibly popular and versatile, with a multitude of possible uses. And one application that is proving to be especially popular is, you guessed it, retrogaming. The Pi3 and the newly-released Pi3+ feature quad-core ARM processors (1.2/1.4GHz), 1GB of memory, four USB ports, and built-in WiFi and Bluetooth. This is more than powerful enough to emulate any of the classic Amigas, including the A4000 or an Amiga running a 68060 processor. And the four USB slots allow you to easily hook it up to modern keyboards, mice, and game controllers. My Raspberry Pi 3. You can buy just the motherboard for around £30-40 or pick up a starter kit that includes a power adapter, case, and 16GB microSD card (with Raspbian pre-installed) for just under £50. So, for less than £50, you can have a dedicated emulated Amiga that can be configured to boot straight into Workbench. If you’re interested, I’d recommend buying one of the Pi starter packs that come complete with the motherboard, power adaptor, microSD card, and a generic plastic case. If you fancy splashing out another £25, then you can also have that lovely 3D-printed mini-A500 case that got me started on my Pi journey. You may also want to consider buying some copper heat sinks (for around £5-6), especially if you plan on overclocking your Pi. There are several options for emulating an Amiga on the Pi, but my preferred solution is Amibian. Amibian is an easy to use and set-up front-end built on Raspbian — the favoured Debian/Linux-based OS of the Pi Foundation. 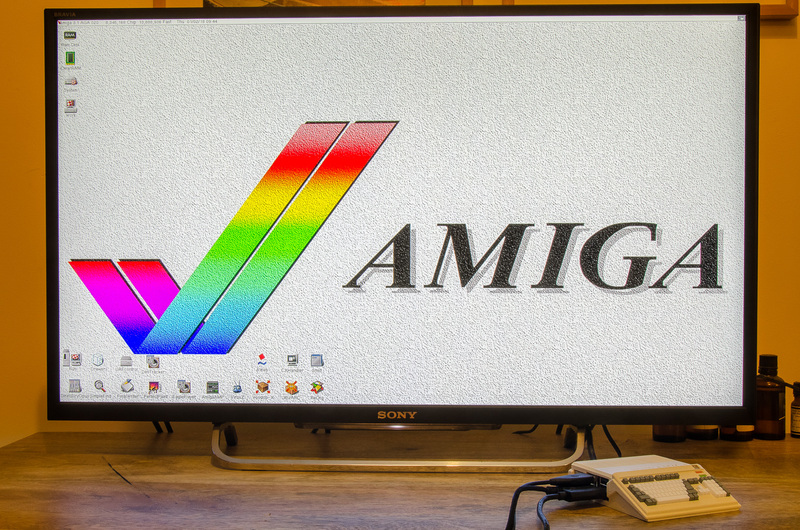 It can be configured to use either uae4arm or Amiberry for its Amiga emulation, both of which based on UAE. As a bonus, it also comes with additional emulators for the ZX Spectrum and Commodore 64. It can also run ScummVM, a virtual machine for playing classic PC-DOS adventure games such as Maniac Mansion and the Monkey Island games. Though it has to be said, if you’re looking for a frontend that can emulate a wide range of classic systems, you’d be better off checking out the excellent RetroPie, which also includes Amiga emulation options. Amibian can be downloaded as a disk image from the official site, which can then be written to an SD card using any computer with a card reader. You’ll need at least a 2GB card, but you may need something larger depending on how many games, demos, and programmes you intend to install. As with all Amiga emulation, you’ll need a set of Kickstart ROMs. Currently, the only way to obtain these legally is through purchasing one of the Amiga Forever packages from Cloanto. Setting up Amibian is relatively straightforward, but a little bit of Linux and UAE experience does go a long way. Dan Wood from kookytech.net provides an excellent video guide to getting started and running a game from an ADF. In the video, Dan uses a USB stick and Amibian’s built-in file manager (Midnight Commander), but for convenience, you may want to use an SFTP program such as WinSCP or CyberDuck in order to transfer files to the Pi over your home network. If you want to run a classic AmigaOS environment, such as Workbench 3.1, then you’ll need the relevant set of Workbench ADFs. Again, these can be legally obtained through Amiga Forever. If you fancy something a little simpler, you could try one of Bloodwych’s other pre-configured Workbench systems. Alternatively, you can create your own hard disk file (through the UAE interface), then install directly from your Workbench disks of your choice to create a vanilla OS. To get your Pi to boot directly into your Workbench OS, you’ll need to save your set-up to one of Amibian’s autostart configuration files. You can choose the default configuration file through the “Emulators setup” section of the main Amibian menu. In the UAE configuration menu, ensure that the “show GUI on startup” option is left unchecked. By the way, you can access the UAE interface at any time by pressing F12 and you can get back to the Amibian menu by pressing the quit button in the GUI. Oh, and always remember to properly shutdown Amibian before turning your Pi off! You can do this either using the “shutdown” button in the UAE interface or through Amibian’s main menu. I have ClassicWB P96 running in WinUAE but in Amibian it does not work. Hi. Sorry to hear you can’t get it working. But without knowing your settings, etc, I can’t really offer much advice.